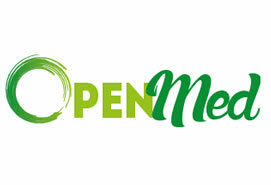 The final conference of the OpenMed project, held in Rome on October 10, 2018, was an opportunity to present the project results, and discuss the visions on the future of Open Higher Educations in the Mediterranean, and it offered a platform for collaborations among project partners and stakeholders working on Open Education in higher education. The event gathered 62 participants, representing 22 universities from Egypt, Italy, Jordan, Lebanon, Morocco, Palestine, Spain, UK, and two networks of universities. Participants have been welcomed by the Director of UNIMED, Mr Marcello Scalisi; the Deputy Head of the Representation of the European Commission in Italy, Mr Vito Borrelli; the Secretary General of AArU, prof. Amr Ezzat Salama; and the Ambassador of Jordan to Italy, HE Fayiz Khouri. Over the last 3 years, OpenMed has contributed greatly to having open education placed on the educational agenda in the region, by working with partner institutions and the open education movement worldwide. Main highlights and achievements over the 3-year period can be consulted here. During the event sessions, participating universities shared their strategies to open-up their educational offer, and confirmed their commitment to Open Education. Strategies vary from the organisation of workshop on specific aspects of OER, such as open licensing or open pedagogies, to offering training opportunities to faculty members, to advocate for public and institutional policies for open education. Widening participation to Higher Education by means of OER adoption is indeed a strategic priority for the higher education sector in general and for the OER movement, and the use and integration of Open Education is a way to expand access to learning opportunities, thus promoting equity, diversity and democratisation of higher education. Photos from the event can be watched here, and information about OpenMed is available on the project website. The OpenMed project is co-funded by the Erasmus+ programme of the European Union.